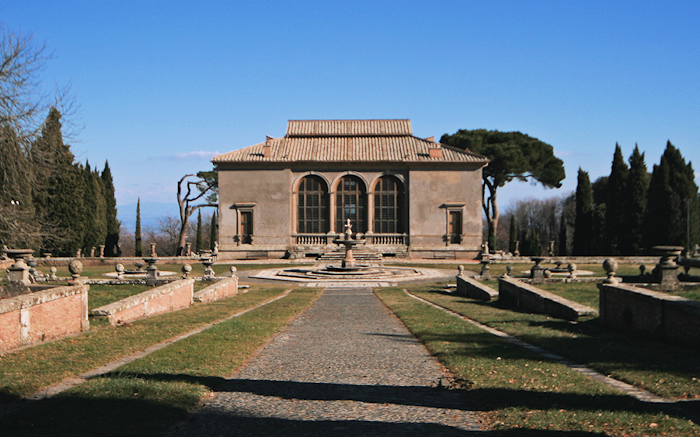 Dominating the small town of Caprarola, just east of Viterbo’s Lake Vico, the pentagonal Villa (or Palazzo) Farnese was built over the course of the 16th century by successive heads of the phenomenally wealthy Farnese family, a dynasty that included several cardinals and a pope. 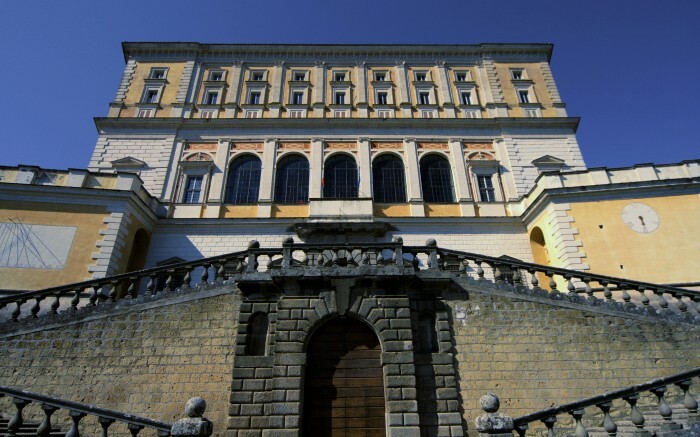 The principal architect of the Renaissance masterpiece that survives today was Giacomo Barozzi da Vignola. 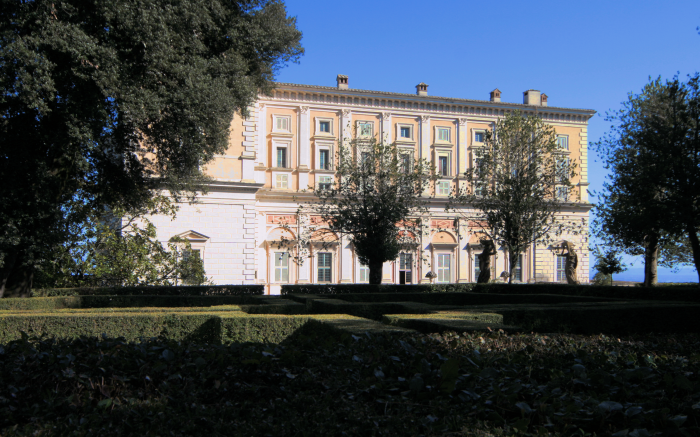 Now the property of the Italian state, the villa has a new museum in the basement, telling the story of the Farnese family through the use of projection systems and ‘immersive holographic’ displays. 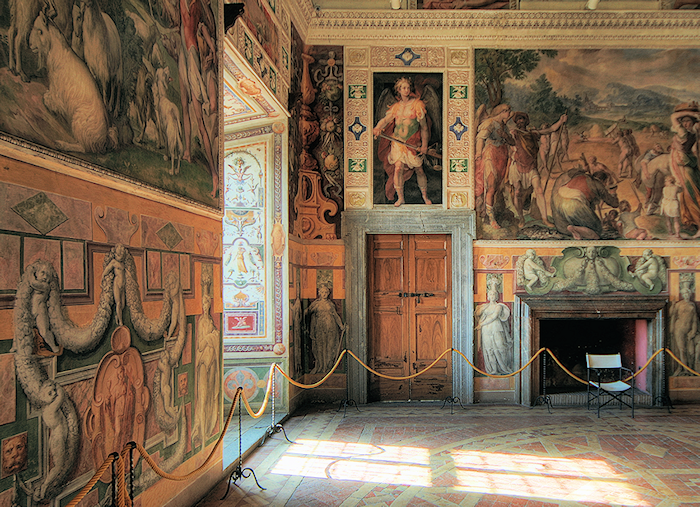 The museum route – for which there’s an additional admission charge – also includes a visit to the palace kitchens. 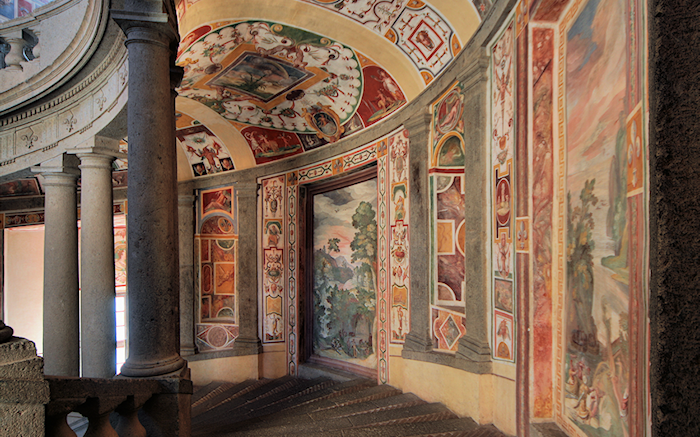 Elsewhere, the Villa Farnese is very sparsely furnished but the rooms are nonetheless hugely impressive because of their lavishly marbled and frescoed walls and ceilings, and ornately tiled floors – though not all are decorated as richly as the one in the photo above. 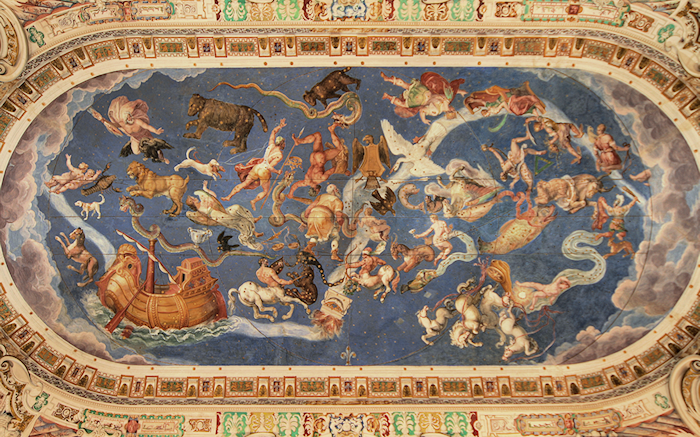 The ceiling paintings are so glorious that you’re liable to leave with a stiff neck – unless you choose to lie flat on your back in the middle of every room. 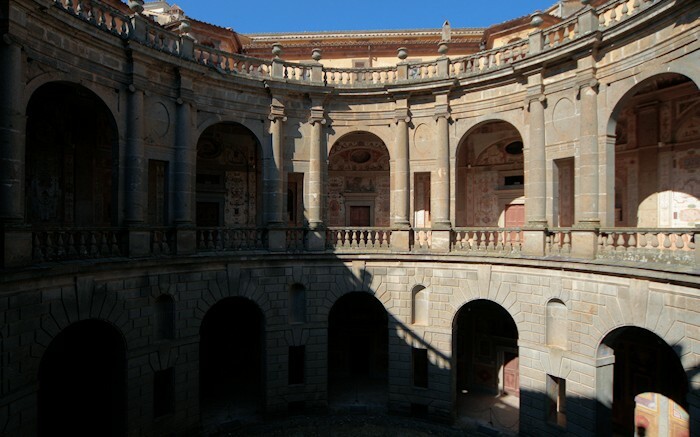 The artistic and architectural highlight of the interior is the Scala Regia, a spiral staircase supported by Ionic columns and decorated with fresoes by Antonio Tempesta. 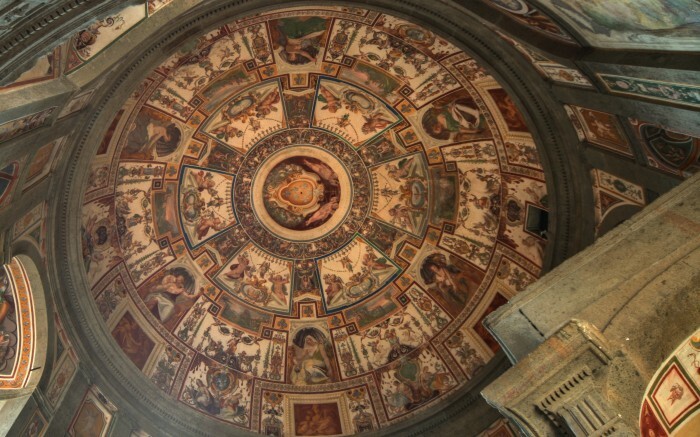 A section of the staircase and its domed ceiling are shown in the gallery below. 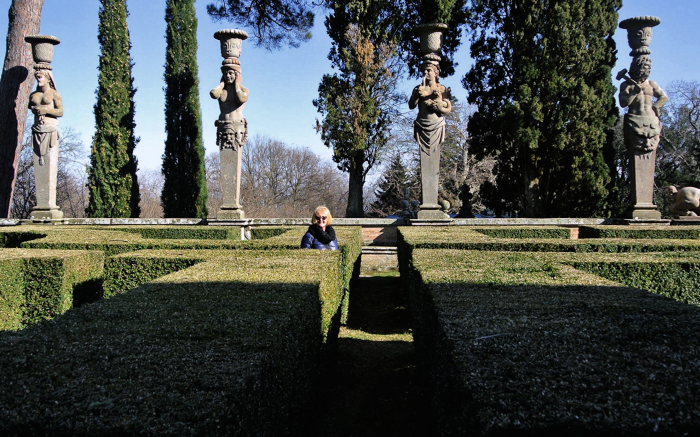 The Villa Farnese is open daily except Mondays – and except on January 1st, May 1st and December 25th. 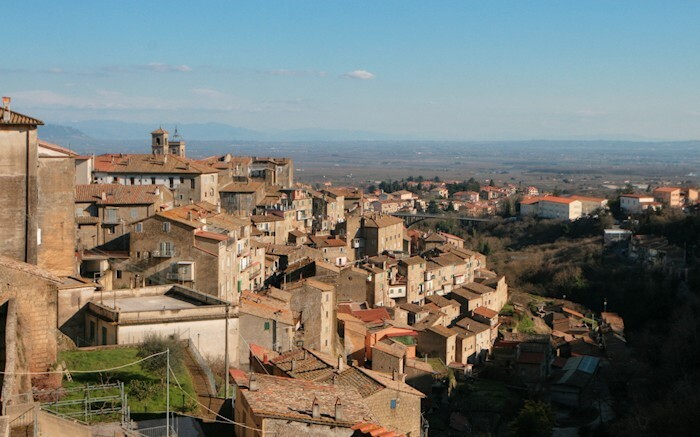 See the official website (in Italian) for more details, including admission charges.